If we were to tell you that the average bird spends a third of their time awake grooming themselves, you might question what all of this guide is about. Unfortunately, despite their almost religious approach to cleaning themselves, birds still need assistance. And a lot of it. Sure, some birds go even further than the above and will even groom others (particularly if they are flocking birds). This is something that has come natural to them over time; the feathers are absolutely crucial for their survival and in order for them to operate properly, they have to be in good shape. For some, these feathers are a crucial barrier to the cold elements as well. Therefore, when we talk about assistance, we’re not always talking about helping them clean themselves. There’s an element of this, but a lot of your work will be helping them clean their environment. To highlight what we mean, here are all of the areas you should cover if you are serious about keeping your bird as clean as can be. 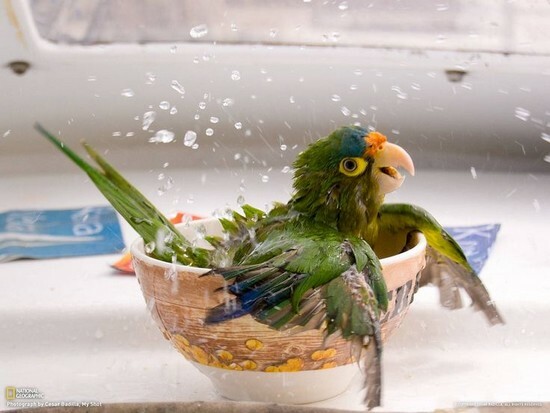 Following on from the above, let’s talk about one of the ways you can directly help your bird wash themselves. While their own methods will suffice a lot of the time, on some occasions you may need to help them out with their own bath. Of course, we’re not advocating that you throw them in a human bath. Fortunately, life has got a lot easier in this regard, and you can purchase specific bird-baths for cages. Alternatively, if you want them to keep clean out of their “home”, there are also baths that can be bought for outside the cage. It’s at this point that the bath size really does matter. If it’s too big, some birds will struggle to maneuver in and out. Too small, and obvious other problems arise. In terms of the water level, this will largely depend on the type of bird you have. Some birds can swim and suffice to say, these are much easier to wash. You should fill the bath high enough so they can wash their face and neck in it, with this allowing them to comfortably clean their eyes as well. If your bird can’t swim, a degree of caution is needed. You’ll always have to supervise them, while make sure they are completely dry before you leave them as their temperature can drop alarmingly. 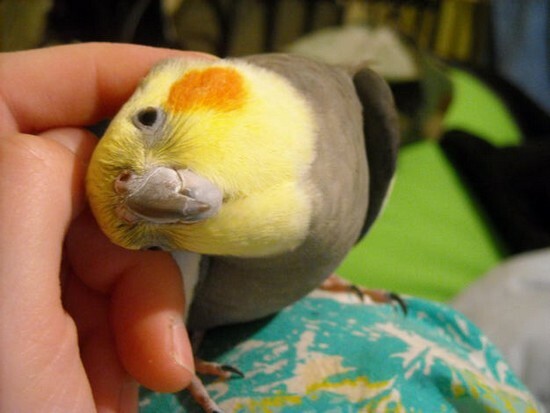 Most birds will appreciate their owner scratching their feathers, although you will be able to gauge their satisfaction with their reactions. 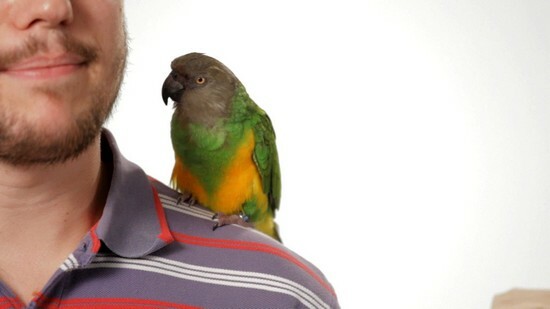 Many have their favorite areas of their body which they like to be scratched, so play it by ear and see what works best for your bird whilst they are being bathed. This shouldn’t be a traumatizing experience in the slightest, it should be completely comforting. In truth, this tip could apply to any method of cleaning – a proactive approach is always going to save you significant amounts of work. At this point we should mention that litter-training birds rarely works. Some might pick it up by chance, but the general advice is that this isn’t healthy for them as it can lead to straining in their cage. This is because some owners will release them from their cage when they do their business – so some try and force the process as a result of this. As such, your proactive approach needs to come via a different method. You instead just need to spread a material like paper towels under the perches of your bird, with this effectively catching their droppings. This is much easier than trying to shovel it off a tray, where it can also become lodged and requires harder scrubbing to remove. Something else that you should prioritize as part of your cleaning attempts is your bird’s water and food dishes. A lot of owners don’t take this chore seriously enough. While your bird might be your “pet”, it doesn’t mean to say that its eating facilities should inferior to yours. In other words, you should ensure that their bowls are just as clean as yours. Therefore, make sure you clean them regularly. If your bird has a dry pellet diet, then washing it a couple of times per week should suffice. For damp-food the requirements are obviously a lot more stringent and you’ll need to wash them twice per day. If your bird eats nectar, then your job will be even harder and you should clean the bowl after every sitting. For water bowls, twice a day is necessary. As you can see, there can be a lot of cleaning in this regard and this is an example of a proactive approach just not being possible. 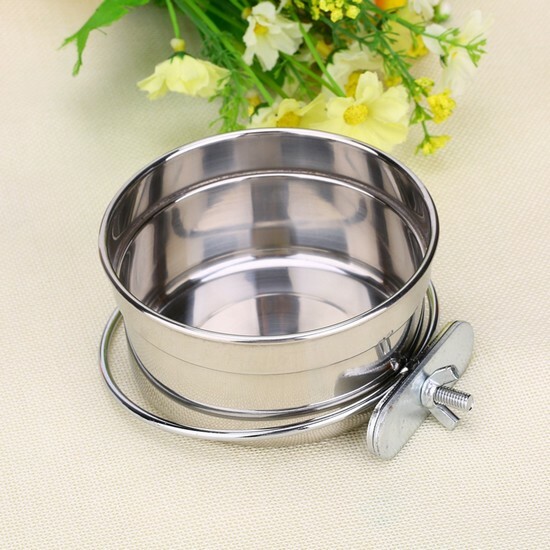 As such, a lot of owners will purchase several bowls at a time to lower their workload and at least mean that they don’t have to be constantly washing out bowls. If you do opt for this approach, there are many products that are dishwasher-safe and naturally this can aid your job substantially. When the time does arrive to clean your bird’s cage, you will start to notice an unpleasant ammonia smell. Unfortunately, this is what is contained within bird droppings and once this waste starts to break down, the substance is released into the air. As well as being unpleasant, this is something which isn’t going to do anyone’s (including yours) lungs any good in the slightest. Ultimately, when you start to clean the cage, you’ll need to take the bird out of the cage to ensure that they don’t inhale significant amounts of ammonia. From your perspective, life will be a lot more tolerable if you open a window and air out the chemical as well. In a bid to completely remove the ammonia from the cage and surrounding areas, you’ll need to turn to an appropriate chemical solution. The best option for this comes in the form of diluted vinegar, or an enzyme-based cleaning product such as Nature’s Miracle. All such options will be able to break down the waste through enzymes and ultimately destroy it. When you are cleaning your bird’s cage, don’t forget that it’s not just the immediate cage that will have become infected. You will have to clean your bird’s toys and other equipment in there, to ensure that no ammonia is going to be released over time. As you can see, the fact that your bird can clean itself from time-to-time is irrelevant when you start to consider all of the other chores that are required. While it might be easy for your bird to wash its feathers from time-to-time, in terms of a deep clean nothing other than a bird bath will suffice (although in some cases, as we’ve discussed, they will be able to take care of that as well). 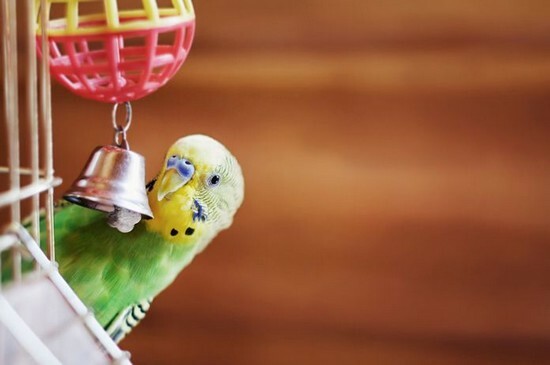 Some of the steps in cleaning your bird’s cage and equipment might seem significant, but if you stick to the rule of 10-15 minutes per day it’s really nothing when compared to the maintenance of other pets.